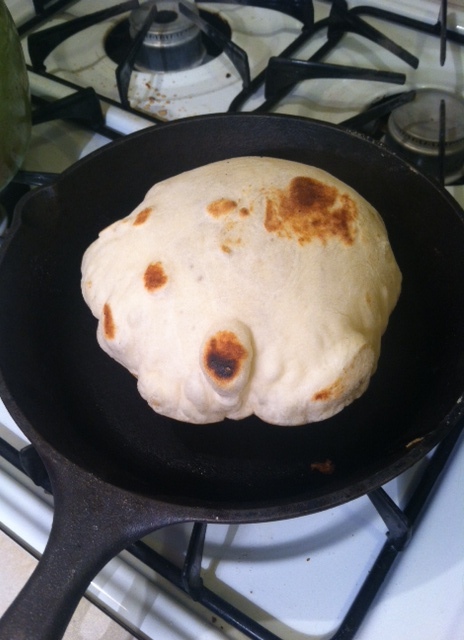 Pita bread comes in plastic bags and is stale a lot of the time so I’ve always wanted to try making it myself. I tried a long time ago using my oven, but it didn’t work. So I tried using the stovetop this time and it worked out really well. 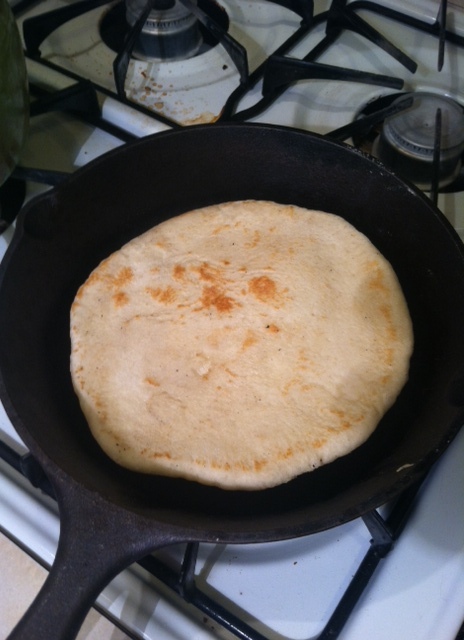 Here’s how to make you own pita bread – no plastic bags involved! 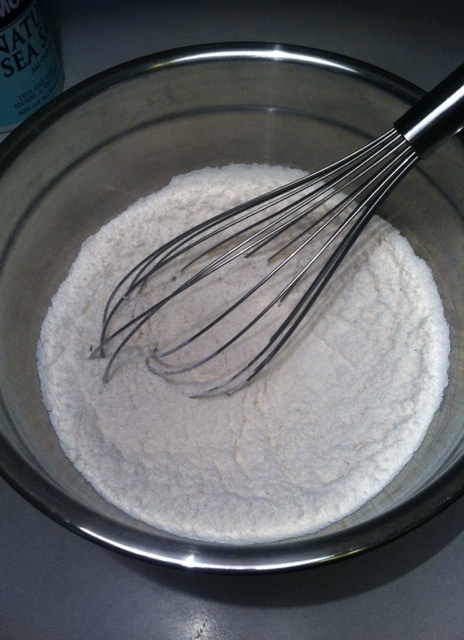 Whisk together warm water, yeast and sugar. 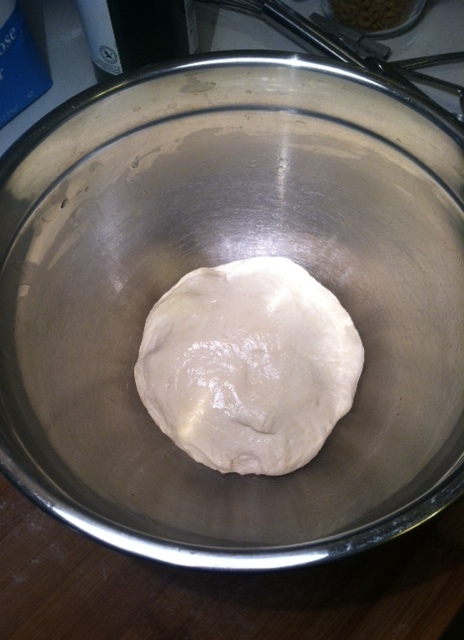 Let proof for five minutes. 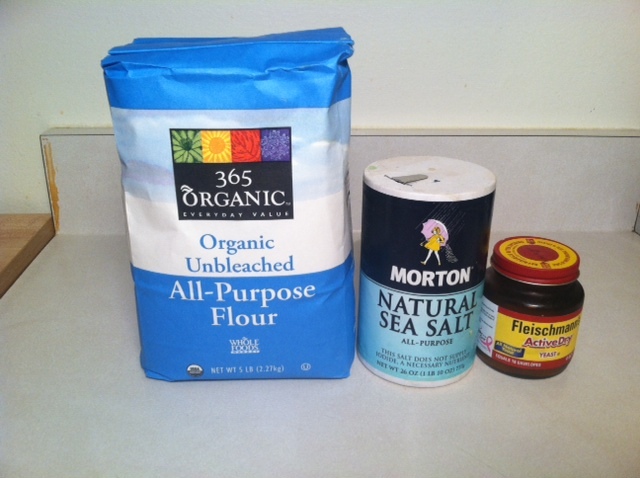 Add yeast mixture to flour mixture and mix until you have a dough. 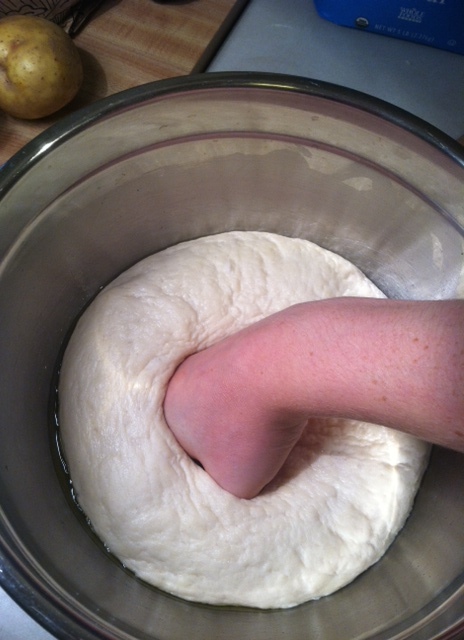 Knead for about five minutes, then place in a greased bowl. 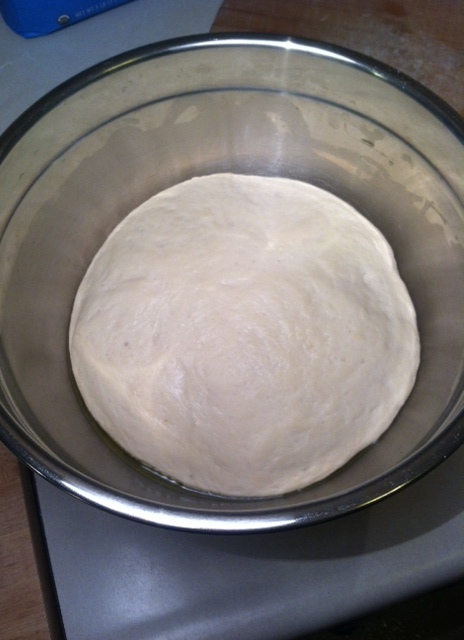 Let rise for about an hour or until doubled in size. 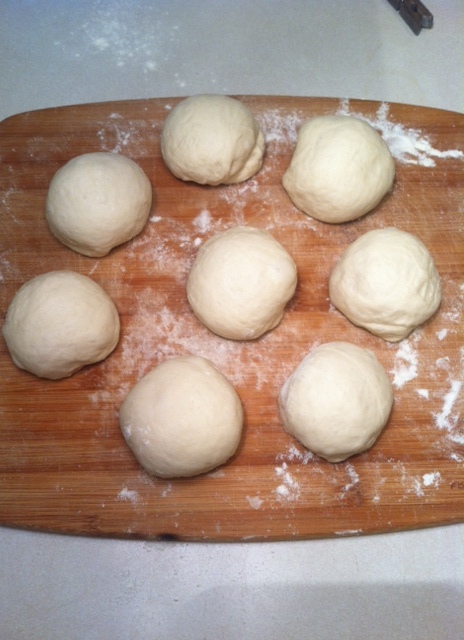 Punch down dough and divide it into eight pieces. Brush a cast iron skillet with a little bit of oil. Place the skillet over medium-high heat. 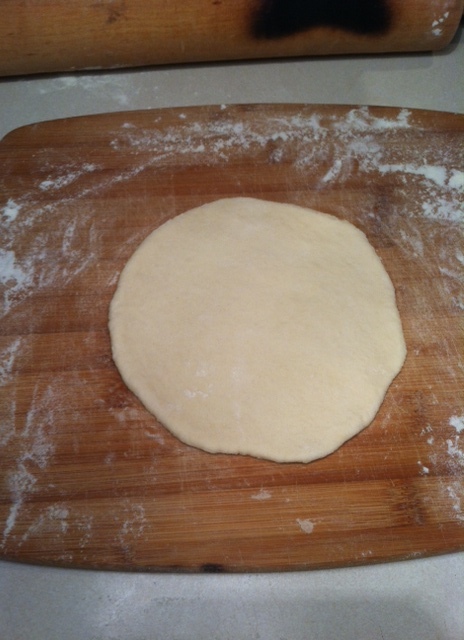 Take one piece of dough and roll it out into a disk. Place the disk on the hot skillet. Cook until you see bubbles starting to form. Flip the disk over. It should start to puff up a bit. Cook for about a minute, then flip it back over. Now it should really start to puff up. Cook for about a minute on the other side, then it’s finished! 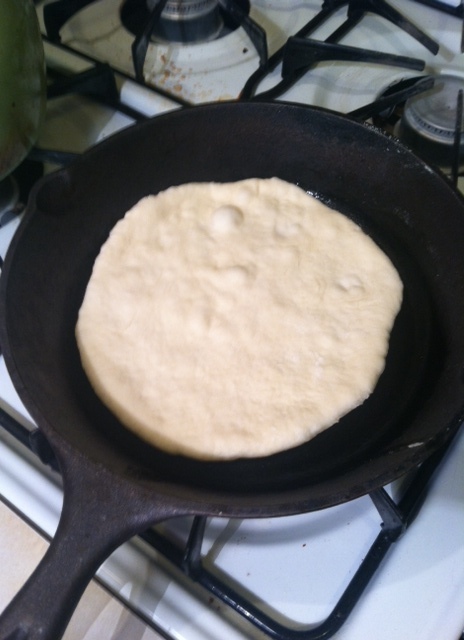 It will deflate once you remove it from the skillet. Serve with tsatsiki and other Mediterranean dishes (coming soon). I went to the Mid-East Bakery just to see how pita was made and it was a hoot to see all these little pillows coming down a chute. They looked just like your pictures. Congratulate yourself for a product well done! 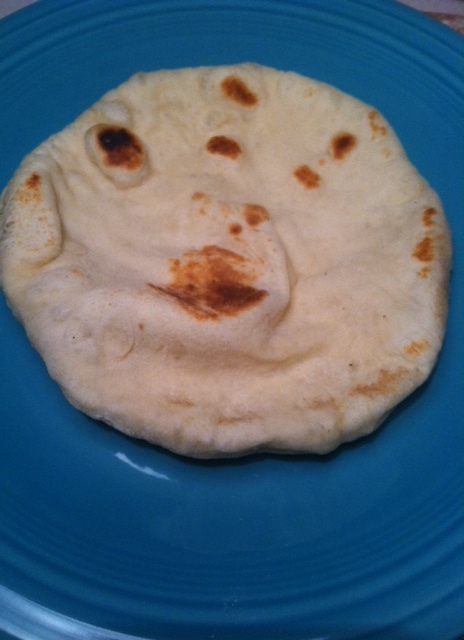 Your pita bread goes stale? 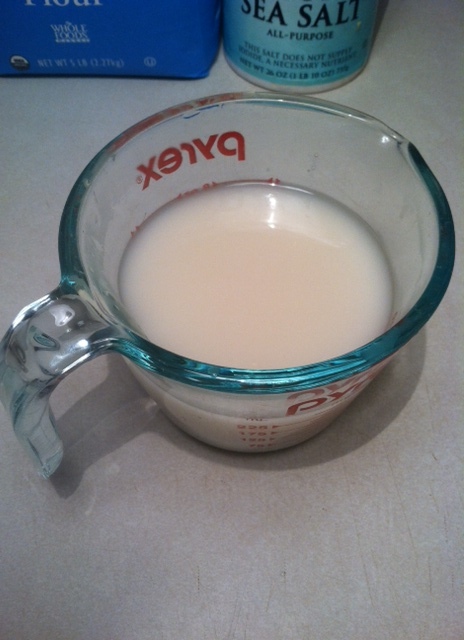 Ours just goes moldy about two minutes after it gets home. I’ll be trying this soon! This is so simple! Will try this soon. This totally intrigues me. I think i might try them.